VOA Special English - Why Is Gene Editing in Dispute? 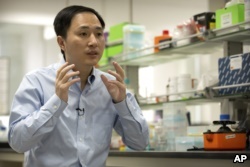 A Chinese researcher's claim of creating the world's first genetically edited babies is considered "irresponsible" by many scientists. 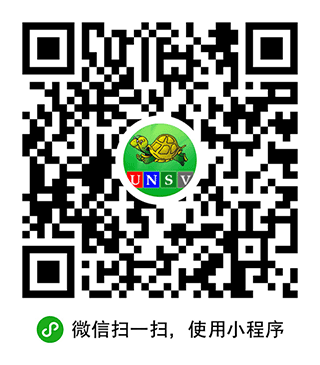 The researcher's employer, Southern University of Science and Technology of China, said it did not know about the activities. China's government ordered a halt to the work on Thursday. The researcher, He Jiankui, said he had edited the genetic material, or DNA, of two girls born recently. He said he had performed the gene editing to help protect the babies from infection with HIV, the virus responsible for the disease AIDS. He said the process had "worked safely" and the two girls were "as healthy as any other babies." There has been no independent confirmation of He's work, and he did not provide written documentation of his research. On Wednesday, He defended his work at an international conference in Hong Kong. He also announced a possible second pregnancy using the same process. FILE - He Jiankui speaks during an interview at a laboratory in Shenzhen in southern China's Guangdong province, Oct. 10, 2018. Scientists have been quick to condemn the experiments. David Baltimore is with the California Institute of Technology and a leader of the conference. He received the Nobel Prize in Medicine in 1975. He called the experiment "irresponsible." Baltimore said it did not meet the guidelines many scientists have agreed on before gene editing could be considered. Jennifer Doudna is a University of California-Berkeley scientist and one of the inventors of the CRISPR gene-editing tool used in the experiment. She called it "truly unacceptable." She told the Associated Press, "I don't think that we heard answers. We still need to understand the motivation for this." "I feel more disturbed now," said David Liu of Harvard University and the Massachusetts Institute of Technology's Broad Institute. He is the inventor of a version of the gene-editing tool. Liu said the experiment is an "example of what not to do about a promising technology." He said he hopes that: "it never happens again." In China, Vice Minister of Science and Technology Xu Nanping said the experiment "crossed the line of morality and ethics adhered to by the academic community and was shocking and unacceptable." Why is He's action in dispute? In 2017, the U.S. National Academies of Sciences, Engineering and Medicine released a report about human gene editing. The group said gene editing should be used for research only in a laboratory to learn how to change embryos. The Academies also said the measure is not ready for human pregnancies. And if it is ever permitted, it should be used to treat or prevent serious diseases with no better choices available. 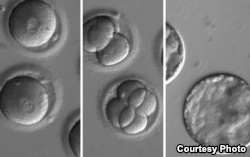 Federal money cannot be used for gene editing of human embryos in the United States. Other countries also have restrictions. People who oppose such experiments say changes to a person's DNA can pass to future generations. They say gene editing risks harming other genes and affects people who did not accept the treatment. Others fear that the experiment will lead rich parents to seek genetic improvement to produce, what are called, "designer babies." Rust-resistant wheat growing in the IGI's greenhouse has had the gene that made it susceptible to the fungal disease removed with CRISPR. The Academies, however, support gene editing to improve food production in order to feed the world's growing population. Researchers are using the technology to produce several new kinds of crops. They include high-fiber wheat, mushrooms that keep their color and highly productive tomatoes. They also are trying to develop corn that resists dry weather conditions and rice that resists pollution. Other scientists hope to use gene editing to end crop diseases such as citrus greening that affects fruits like oranges. In the U.S., a company called Recombinetics is looking to raise new kinds of cows and pigs. However, many governments are still considering how to oversee gene-edited foods. It also is unclear whether people will be willing to buy gene-edited foods. 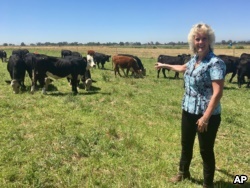 FILE - In this July 11, 2018 photo, animal geneticist Alison Van Eenennaam of the University of California, Davis, points to a group of dairy calves that won't have to be de-horned thanks to gene editing.